​ One thing the mission has taught me is "expect the unexpected". Long story short, I will not be leaving at 3:30 pm Sunday on bus to Bogotá for 16 hours. We will be going on plane Saturday morning at 6:30 am. Which means I only have 4 more days in my area!!! I found out about this change last night. So, that was a huge surprise but at least I will have never had to take a bus for 16 hours :) Also, the father of the Lopez Elles family, Gustavo, was robbed Saturday morning of all of his papers (ID and car papers) and some money. He was hit over the head with the pistol but is okay. However, this means that they will have to wait a little longer to get married because he doesn't have his papers. They were hoping to get the papers and get married this week but I guess God has another plan. 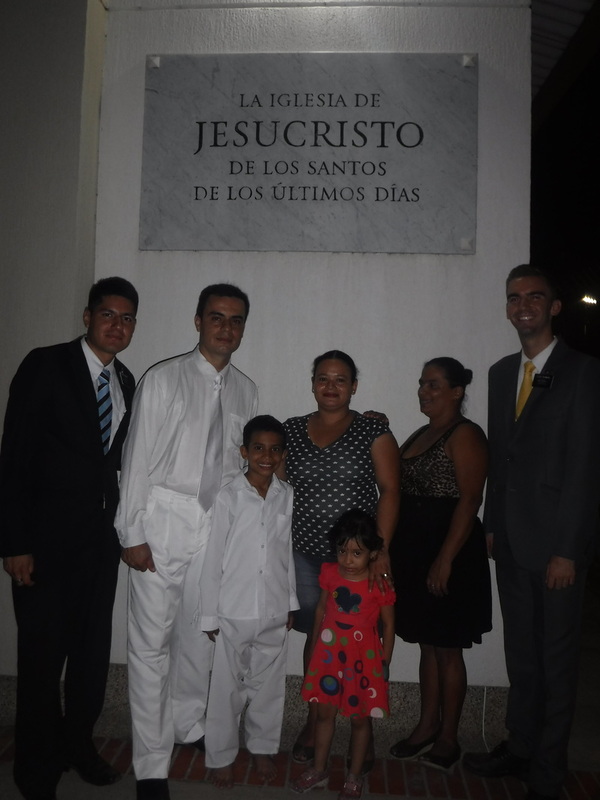 Said Andres was baptized on Saturday and everything went very well. He is such a great kid. This week flew by and I'm scared that this week will fly by faster. However, I'm still going to give it my all this week and see how many more new people we can find to teach. I am excited though to go to Bogotá and visit some people that I taught and were baptized, the Osorio Family (less active now) and the Acosta Family. So I am going to take advantage of the 2 more days I will have there and not here to try and visit them and see how they are doing and what I can do to help them. I have my last interview with President Laney on Monday morning and then PEF all day Tuesday. I will be staying in my old house (secretary house) which will be nice. Then early Thursday morning I head off for California. I still don't feel nor believe that my mission is coming to a close and I don't think it will hit me until I get to the US and everyone is speaking English, ha ha. I am very grateful for the opportunity I have had and still have to serve as a missionary and be a representative of Jesus Christ. There have been many trials along the way and I have made many errors, but I know that it is only through these hard times that we can learn and grow closer to God. I know that Jesus Christ is our Savior and Redeemer. He suffered and died for us one by one and He loves and knows each one of us. I know that we have a Heavenly Father as well who loves us perfectly and wants us to return home with Him. This is only possible through the gospel of Jesus Christ and our obedience to it. I know that The Book of Mormon is true and Joseph Smith was a prophet called by God to restore the gospel of Jesus Christ. I know these things are true because I have prayed and asked God and have received answers though the Holy Ghost. I invite everyone to do the same and follow the advice found in James 1:5 which reads, "If any of you lack wisdom , let him ask of God, that giveth to all men liberally, and upbraideth not; and it shall be given him". I love you all. Thank you so much for all of your love and support through these quick 2 years. If you have any questions or want to know more about The Church of Jesus Christ of Latter-Day Saints you can visit lds.org, mormon.org, or you can talk with me or the missionaries. The Lopez Elles Family with the other 2 Elders in the ward. We had a water fight and are soaking wet. This week went well and we were able to find more people to teach which is always a great thing! It has been really hot lately which has been a challenge and ants have decided to fall out of my light in my bathroom. Literally, there are ants EVERYWHERE in hot land here. They have successfully entered into 2 of my unopened bags of cereal. Yep, they go ham. Anyway, this Saturday is the baptism of Said Andres!! We finished the lessons yesterday and everything should go well this week. We FINALLY got a ward missionary leader yesterday!!! YAY!!! I will be able to finish my mission with one! The Lopez Elles Family is doing well as well and the plan is that they will get their papers and get married this week and then get baptized on July 30th. We had interviews with President Laney on Friday and they were AWESOME!!! Sister Laney also bought us pizza because all of the Latinos moved up in their English books! President talked with me about making a few goals for these last few weeks to keep me focused. I try not to think about finishing the mission because it's just....not fun to think about, ha ha. I still have a lot of time left so I don't need to worry about it now :) I'm so grateful for President and Sister Laney. They are just so loving and awesome!! They have really become my second parents (or 4th parents if we count President and Sister Dyer & President and Sister Andelin). I'm really grateful for all of my leaders that I've had. But I'm going to stop writing as if it were my last email because I still got time left, ha ha. I love this gospel and for the opportunity to share it EVERYDAY! I know that Jesus Christ lives and loves us. I know that The Book of Mormon is true and testifies that Jesus is the Christ. And I know that families can be together forever through the pure gospel of Jesus Christ. I love you all and have a great week! The Lopez Elles Family. We were able to have a lesson with them yesterday and they gave us some food at the end. We ate McDonald's today and they invited us on a tour of the kitchen. It seems weird that the only one not with a hair net was the guys giving the tour, ha ha. This week has just flown by! We have been able to have more appointments lately which has been fun. I love teaching about the gospel and bearing my testimony. 13 investigators went to church yesterday!! We have 2 big families and a few others that have been progressing a lot and going to church. One family is the Lopez Elles family and the other is the Baez Rojas family. The Lopez family has a baptismal date for July 30th and I really hope everything goes well so that they can complete it. I really want to see them be baptized. They are a really special family. A few members of the Baez family have dates for July 30th as well. However, we don't know if they will all be ready by the 30th. 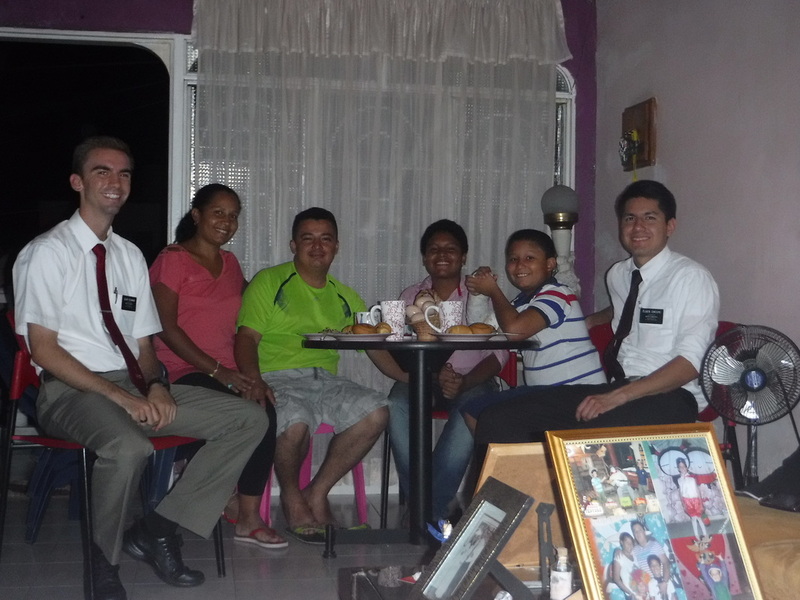 I had intercambios with Elder Zuñiga on Friday which was fun. We were also able to find 2 less actives yesterday while looking for addresses in the rain. 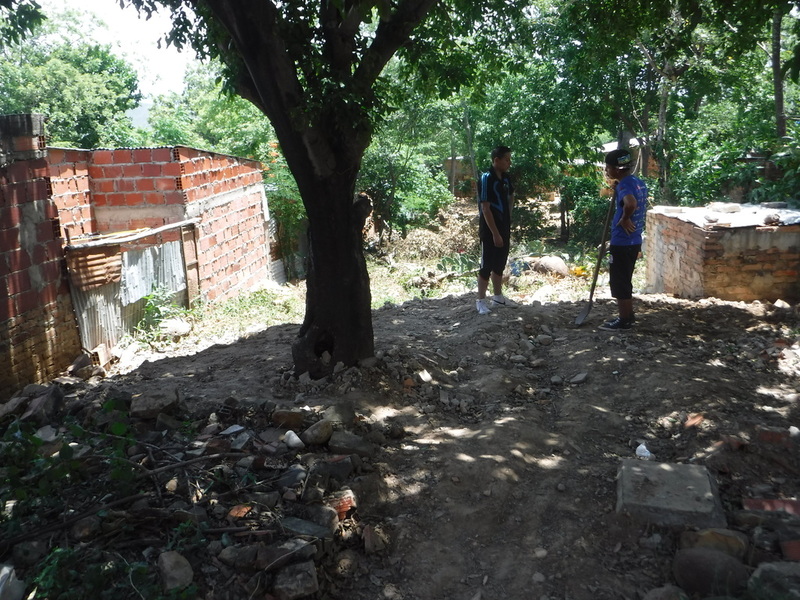 For one, we were standing under a tree to look at a paper and he called us into his house. Turns out he is less active and is the husband of another less active who we were told to visit earlier in the day. They don't live together but we were able to find out more about the family and we are going to try and visit him now. For the other, we found the address that was registered in the church records, but she had moved a few months before. We were told more or less where she moved to and after talking to people and looking, we found who we were looking for. It turns out that her house doesn't have an address...fun! ha ha. But we are going to pass by this week and talk with her and she said that she will probably go to church this week. 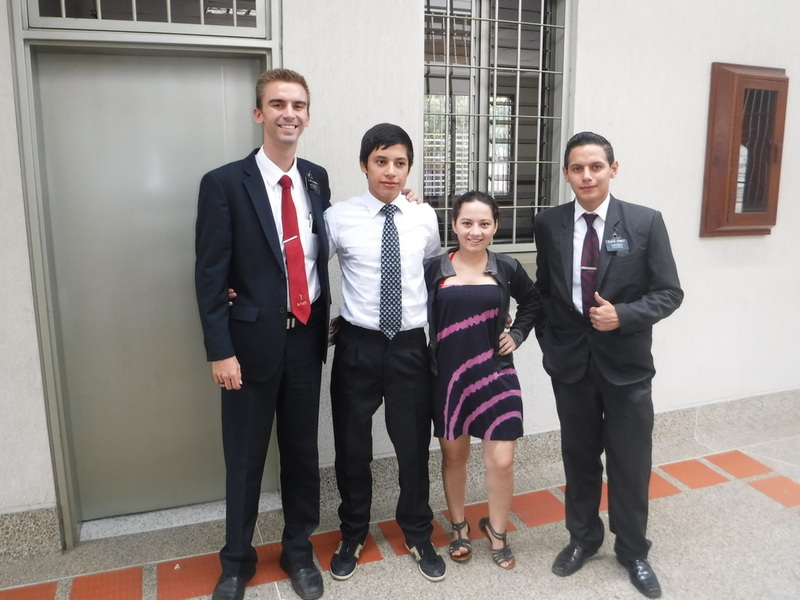 There are still some problems with the ward and some misunderstandings with the missionaries. Let's just say that I'm learning a lot. It's been tough, but there is still hope. Talk to you guys next week! FELIZ 4 DE JULIO!!!!! Hope you guys had a great day. It's actually a holiday in Colombia as well, but it's celebrating San Pedro y San Pablo. Elder Lindley (just came to our district from the offices), Elder La Rochelle, and I sang the national anthem on a conference call this morning...it was great. ha ha. Anyway, Julio didn't get baptized this week. We need to help him with a few things so that he is truly prepared to do this sacred ordinance. We were able to find some more new people to teach which has been great. Time continues to go bye so fast. I am still learning things everyday and I am so grateful for the opportunity to serve the Lord and share this gospel with everyone who will listen. Oh, I also gave a baby blessing yesterday for James Parker, the son of Anderson and Delma. James is 2 and a half. That was a cool experience and a surprise, ha ha. I didn't think that I would get to do that until I had children of my own. 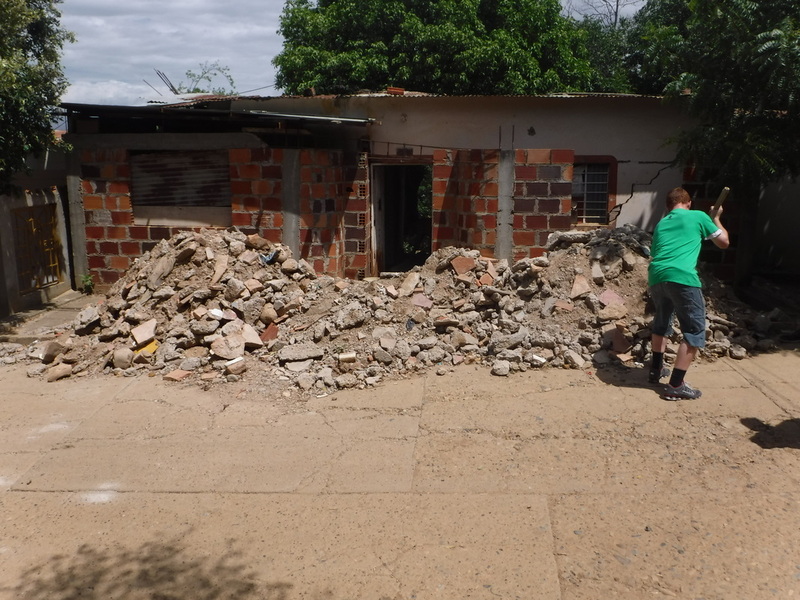 Anderson and Delma are doing great and progressing a lot. 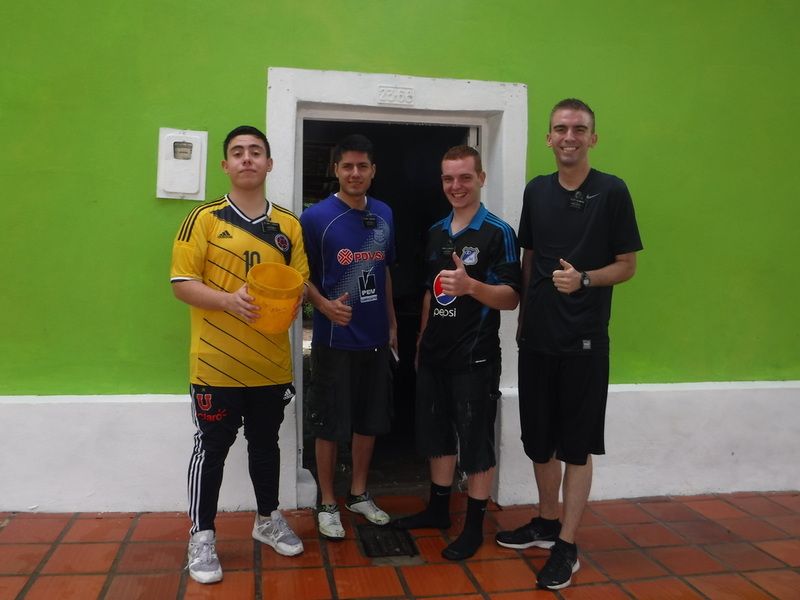 We are hoping that Anderson will be able to baptize his nephew, Said Andres, on July 16th. It is so awesome to see people progress in the gospel and see their life change. I know this church is true and I know the gospel is the answer for all of our problems. Life is never going to be easy, but the Lord and His gospel will help light our way so that we have hope and happiness through everything we go through. Have a great day! Talk to you next week! 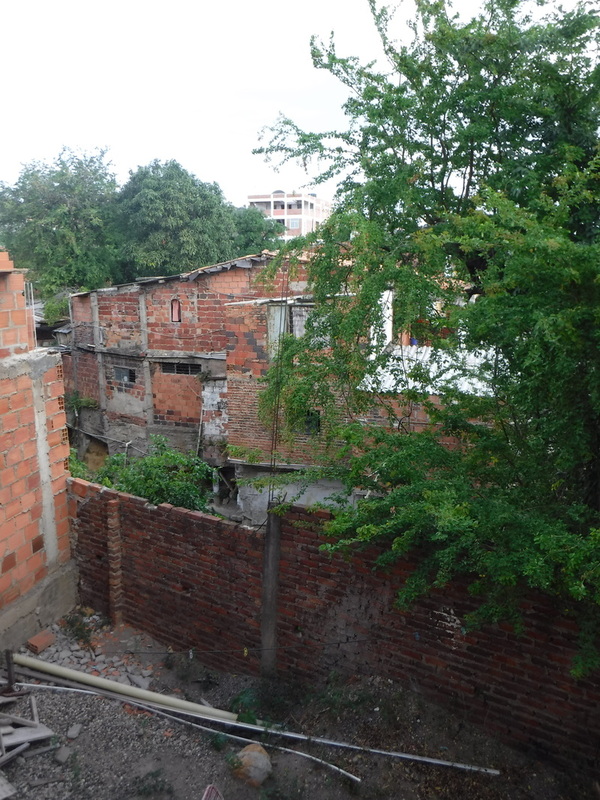 This is the backyard view of our house. I didn't have any pics from this week, so I took this random picture so that I could send something. I forgot to take the picture of our house to go with this...que pena ha ha! Last Monday night, I went to the owner of the dog that bit me house and she was able to show me a document with the dogs rabies shot so I don't have to go get them. However, that was the most awkward contact of my life, ha ha. 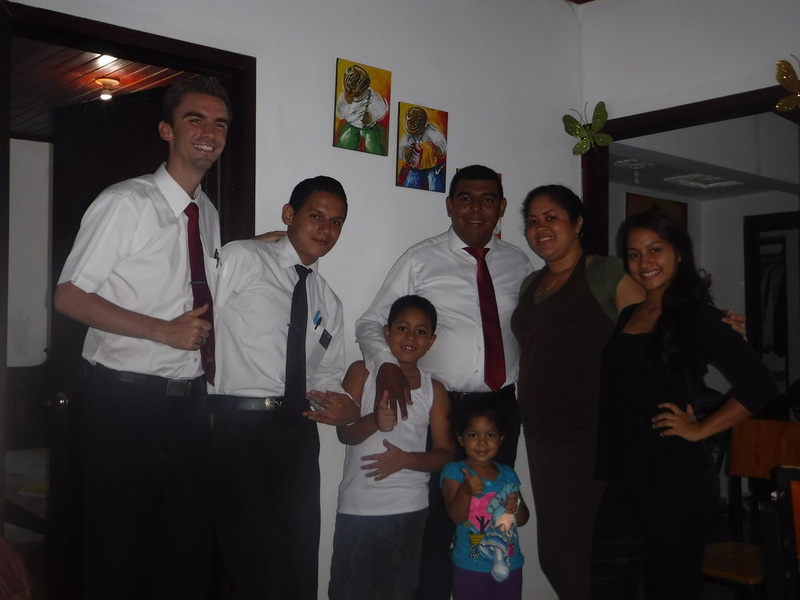 In the end she didn't want anything with us but accepted a card :) Elder Crespo and I have had a good week and have been finding new people. 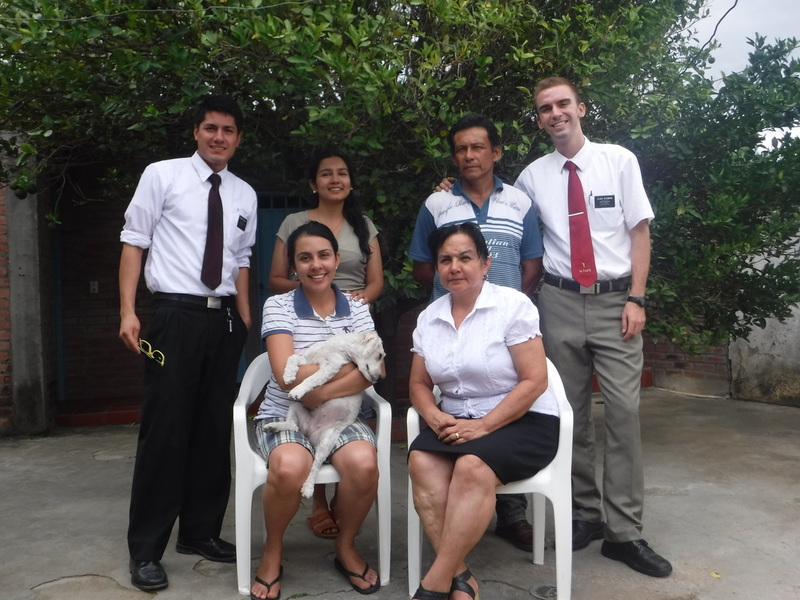 Julio has his baptism set for this Saturday, so we hope everything goes well in the interview! The weather hasn't been too hot and has been raining a lot which has been really nice. I don't know what else to say and I don't have any more time so I will end with my testimony. I know that Jesus Christ lives and this is His true church. I know that God listens to and answers our prayers. Their will always be difficulties in our life, but thanks to the Lord we can receive the strength we need and overcome any trial we face. Love you guys. Have a great week! 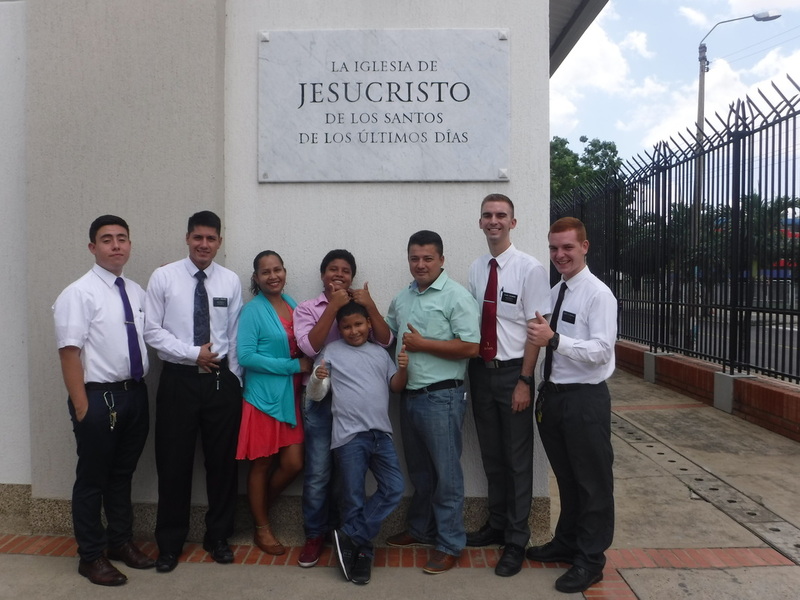 Transfers were today and Elder Gomez left and Elder Crespo from Ecuador is coming. He should get here tomorrow morning because he is coming in bus from Bogotà. I am doing better and my companion and I ended on a good note which was great. It is weird to think that I'm in my last transfer already!!! Time is going to fly by and it is scaring me, ha ha. This week we had 2 personas rescatados (reactivated members?). They are Juan and Sandy. 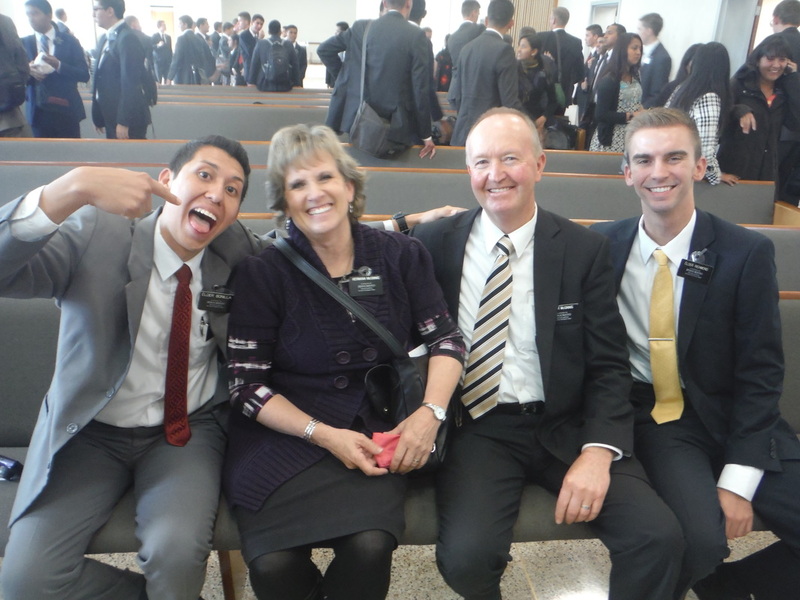 They are so great and Juan is preparing to go on a mission and Sandy may go as well!! Julio Buitrago has his baptismal date for July 2 and the Lopez family has theirs for July 16, they just have to get married first. Then Said Andres will be getting baptized soon. We were going to move his baptismal date to July 2 but they want to wait and see if his Uncle can baptize him. His Uncle, Anderson, and Anderson's wife, Delma, are the people who make us lunch everyday and they are less active. However, they have 3 weeks straight going to church and Anderson is stopping to smoke and drink!! 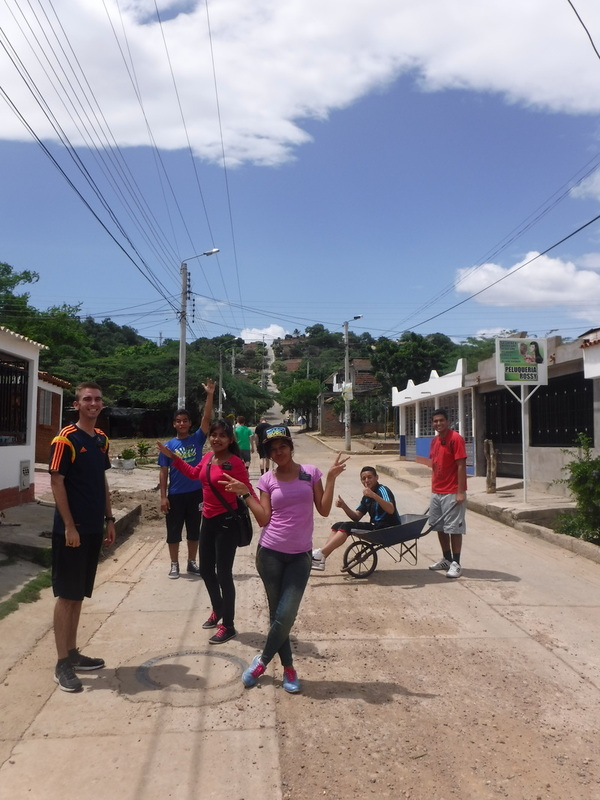 They have a longish story but it is amazing to see their progress and see what the gospel can do in our lives! We had 2 services on Tuesday and Thursday. 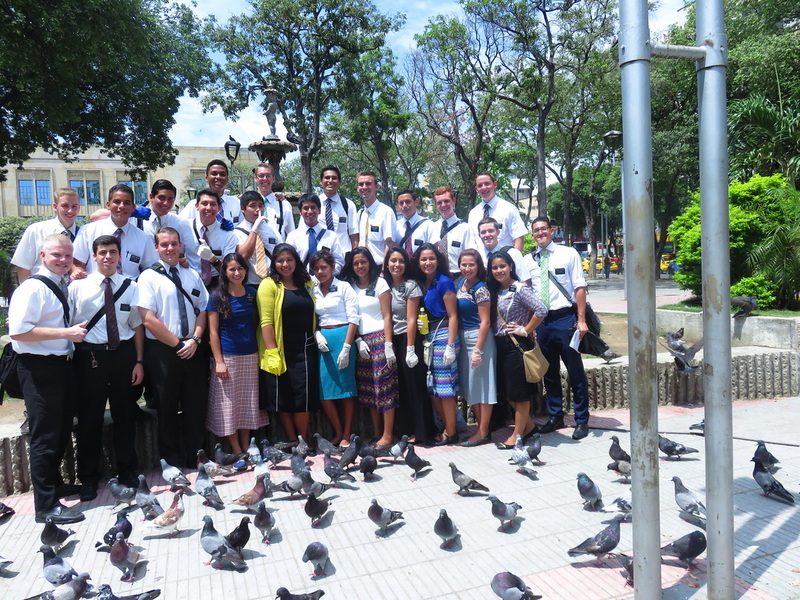 On Thursday Elder La Rochelle and I got fried and then I was bit by a dog on the way home. It broke the skin so I have to keep an eye on the dog and may have to get rabies shots. Then at night the same day, I saw that someone in the family where we did the service erased all of my pictures on my memory card. Great day, right? ha ha. But we were able to recover about 100 pictures and I am going to see if I can recover more. This week should be good and I'm excited to see what happens. Talk to you next week! Bishop Olmar Ramirez and his family after lunch yesterday. This week had amazing highs and devastating lows. 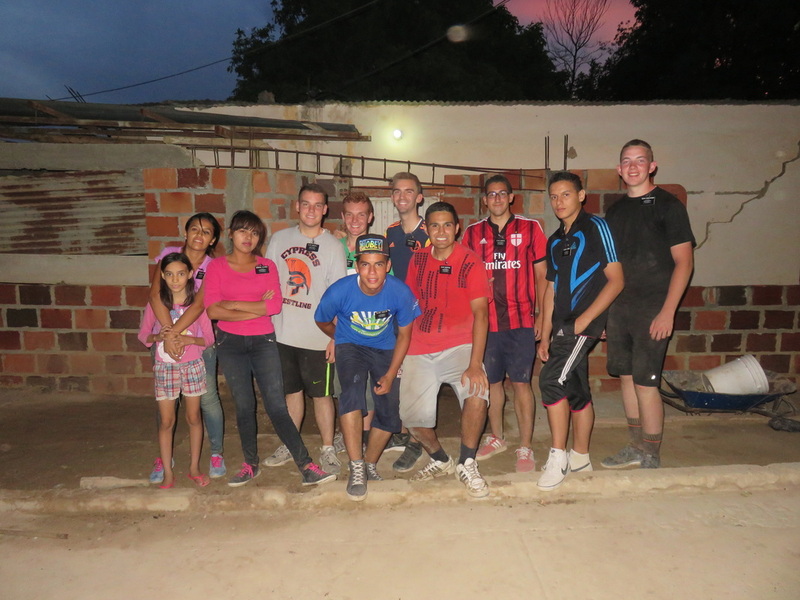 It has been the hardest week of my mission, if not of my entire life. There are just many problems here and at home. I'm trying my best to keep going even when I really don't want to. But, I know that everything happens for a reason. The gospel is a lifestyle and we just have to go step by step. It's not easy but it's possible with the Lord. On the plus side, we have 6 baptismal dates and they are doing amazing! I’ve been focusing on them and it has been helping me to keep on swimming :) Well, that's what I got for this week. Talk to you later! 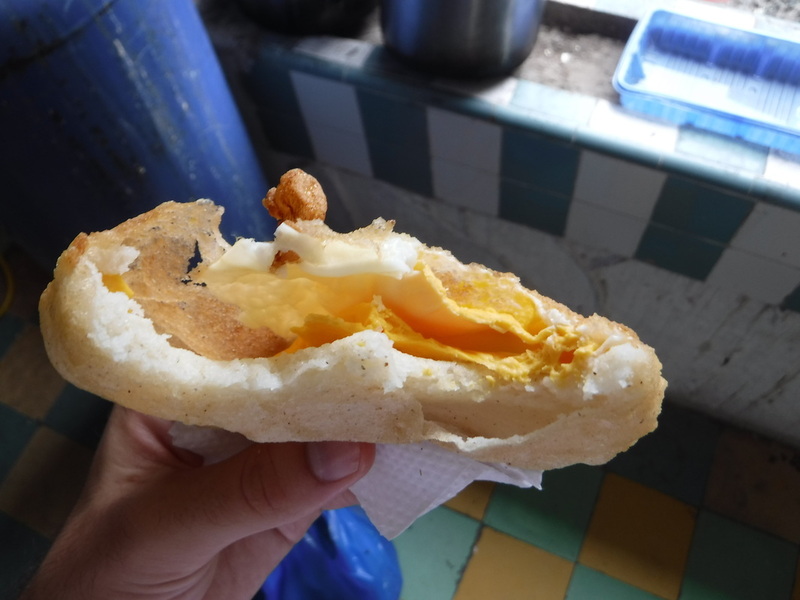 We made "arepas con huevo" or "areaps with egg" today with the family that gives us lunch everyday. They were really good but I got a blister on my hand from boiling oil. Don't worry mom, I'm okay, ha ha. 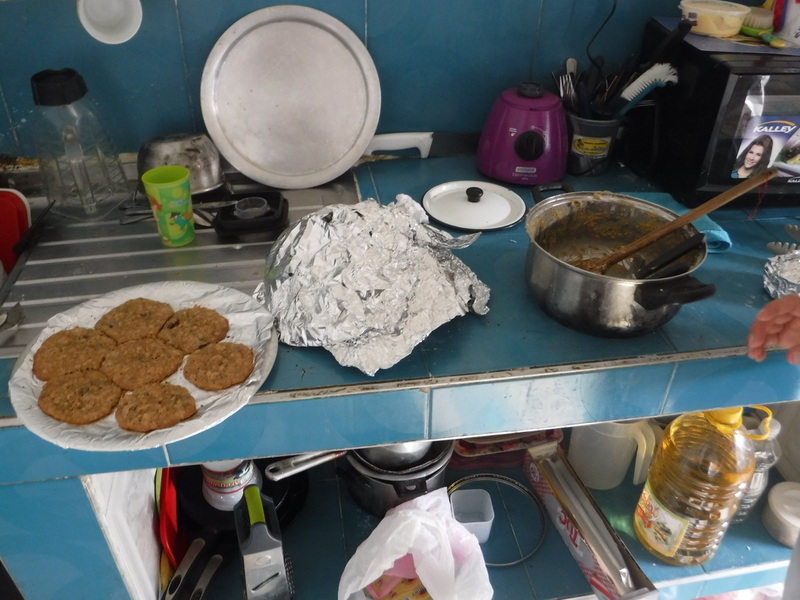 After the arepas, we made oatmeal chocolate chip cookies. I don't have much time so I will make it super short. The conference with Elder Rasband was amazing!! We were all able to shake his hand as well. The spirit was so strong and I was able to receive the help I needed. I could write a novel about the conference but I don't have time. But don't worry, I wrote a lot in my journal, ha ha. The time has just been flying bye lately. I know this is the true church and I know that Jesus Christ lives. I love this gospel and I'm so grateful for the opportunity to be a missionary. I have to go but I will talk to you all next week! 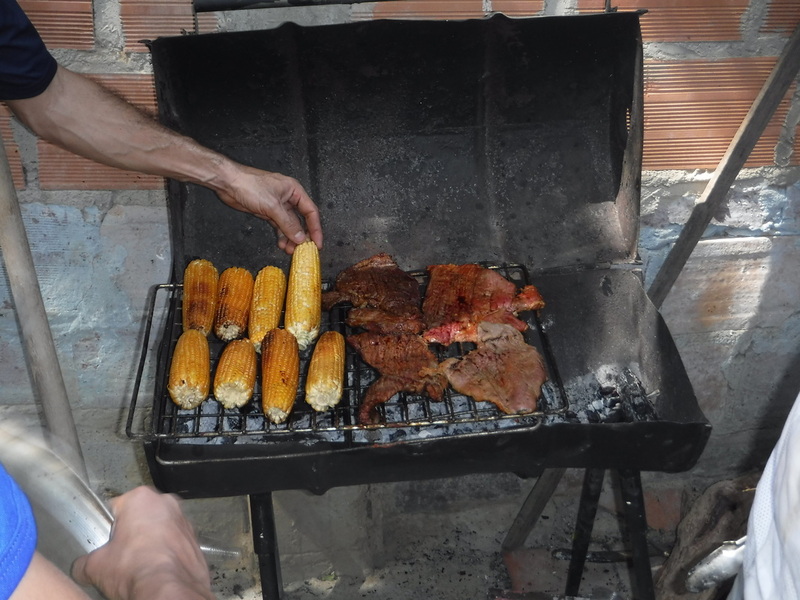 We had a BBQ today! 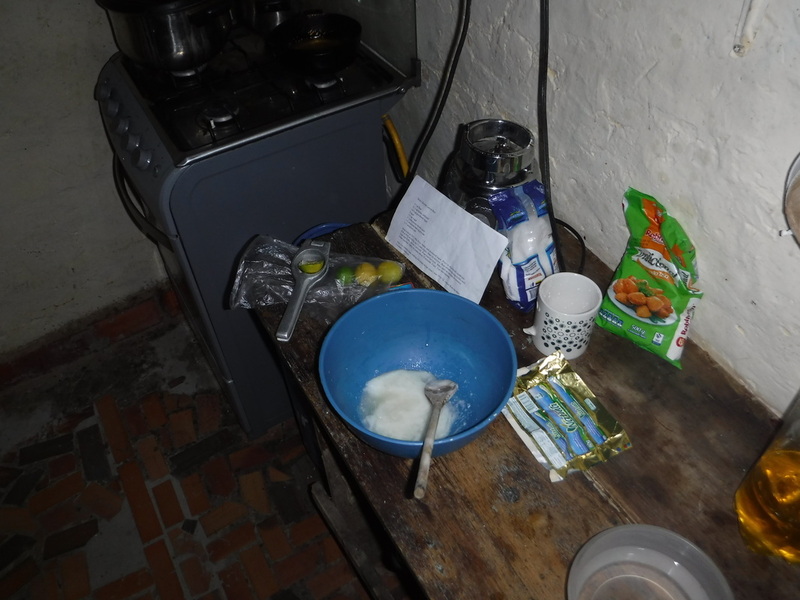 Elder La Rochelle and I made lemon bars and they tasted alright, ha ha! I got sick again yesterday with a fever and I still have it now, so it's been a rough day. This week went pretty well, but nothing fantastic. We found 3 new investigators and have 2 baptismal dates for June 18th. One is for sure and we hope to be able to finish all of the lessons in time for the other. I'm excited for the meeting with Elder Rasband this Saturday!! We will be traveling by plane, so I have gotten very lucky with not having to take the 18 hour bus ride yet, ha ha. I have to go, but I will let you know how the conference goes next week!! Bye! This week was an interesting one. We had our zone meeting on Wednesday and found out that we have a meeting with Elder Rasband in Bogotá on June 4th!!!!!! I'm so excited!! Then, I went to the ER on Thursday for my companion because he had some huge weird lump in his armpit the size of a golf ball and he couldn't move his arm. Everything went fine and it was just an abscess. He just told me that it was extremely painful when they squeezed everything out. On Friday, we had a service project that ended up lasting all day. We cleaned up a HUGE pile of dirt, rocks, and cement in front of someone's house and put it in their "backyard". 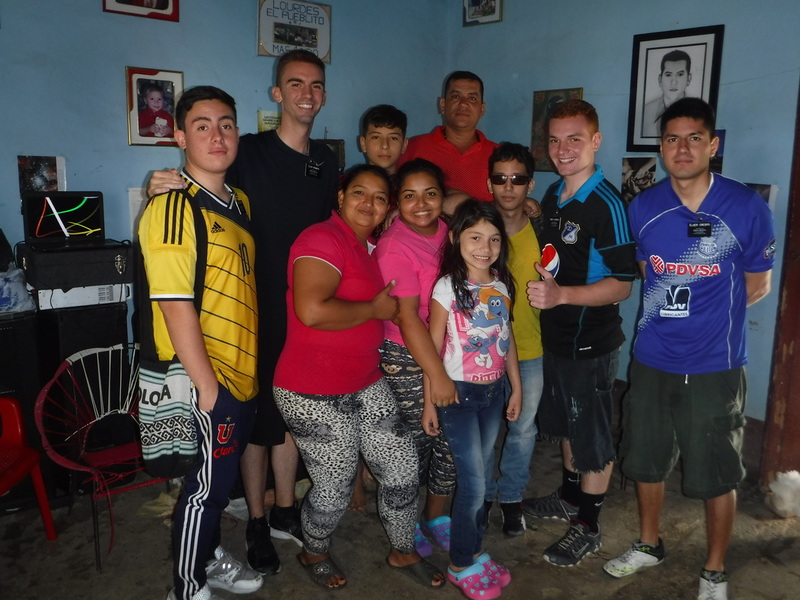 On Saturday, we had intercambios and yesterday was church and we talked with the bishop. There are many problems in the ward and let's just say that we have a lot of work to do with the members on top of the investigators, less actives, and recent converts...fun. But I'm kind of used to these things now. My comp and I are chugging along and trying to do as much as we can to help the members and to find more people to teach. I'm hoping that this week will be better than last week and that we will be able to have more lessons. Talk to you next week! Behind the house where we were dumping everything. Our zone on the way to the service. When we finished the service. Here is a pic from the service that we did in the park on May 11th for celebrating 50 years.